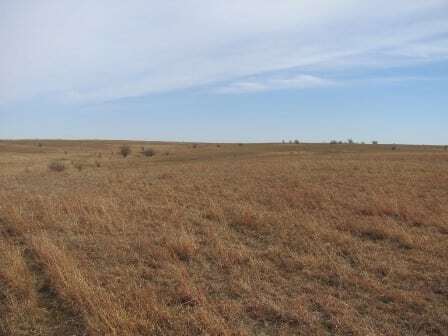 This eastern Washington County ranch offers a balance of timber, introduced grass bottoms and native Tallgrass Prairie forage with limestone based soils. Character is a large ingredient for any ranch and is reflected in the rolling hills, fertile creek bottoms, grasses and forbs. The ranch is accented by the well laid out headquarters area and working facilities. 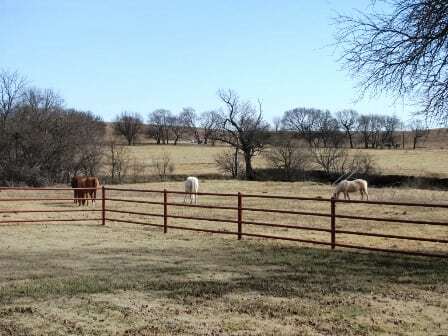 This scenic area is an ideal setting for a quality ranch located only minutes from downtown Bartlesville. 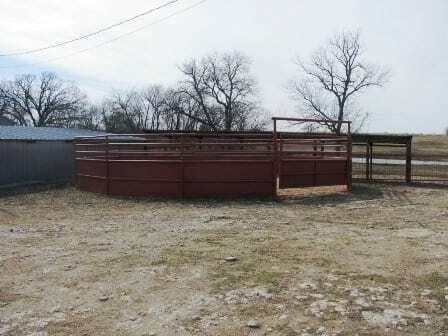 This well located ranch is approximately 10 minutes from Dewey, 15 minutes from Bartlesville and an hour to the Tulsa airport or downtown. · 1380 square foot managers home and was renovated in 2006. 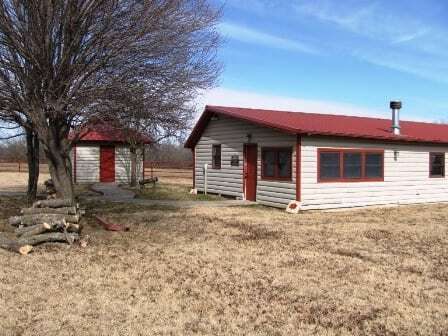 · 1187 square foot cabin with detached garage renovated in 2006. 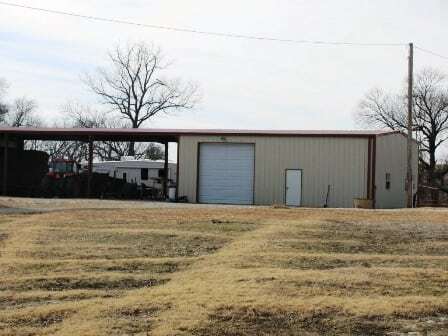 ·2370 square foot shop with 40 foot equipment shed, concrete floor and 12’ overhead doors. 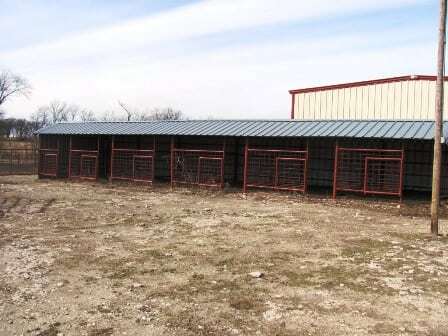 ·Multiple loafing sheds, hay barn, bulk feed tanks, silo and tack room with shed. ·Rural water serves Headquarters area. 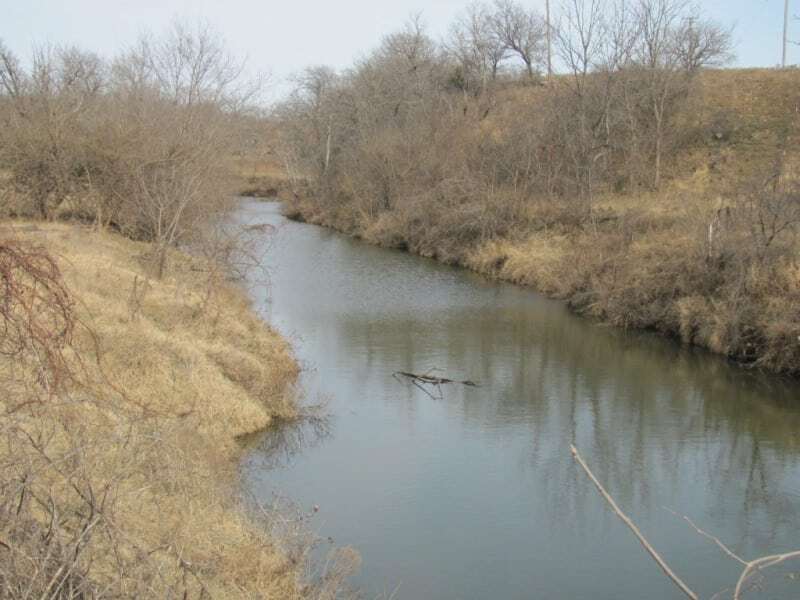 ·Approximately 24 ponds, two year round creeks and 38 acre water shed lake. ·3 sets of steel pens. ·5 wire steel fencing ranging from excellent to poor condition, the majority of the outside fencing is in excellent condition. 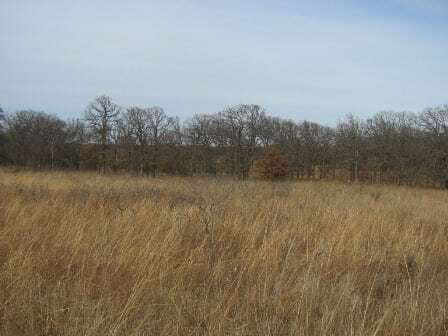 The ranch offers introduced forage and limestone native Tallgrass Prairie pastures over productive soils. 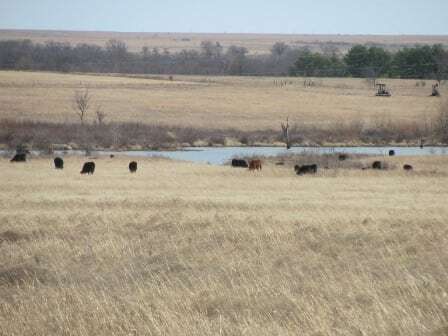 The approximately 8 pastures offer rotational grazing opportunities and provide the base for further development of the grazing system and forage development. The primary soils beneath the native grass pastures will produce 4,200 to 5,250 pounds of forage per acre per year under normal conditions. This equates an approximately 10 acres per cow unit year round. Approximately 400 acres of introduced forage pastures contain a Bermuda base with clovers, fescue and annual ryegrass would comfortably be rated at 4 acres per cow unit year round. 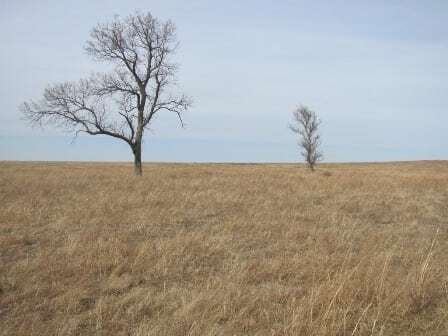 These same pastures provide the forage during winter and spring for more intensive grazing. Further cross fencing of the improved grass pastures will enhance the productive value of the property. 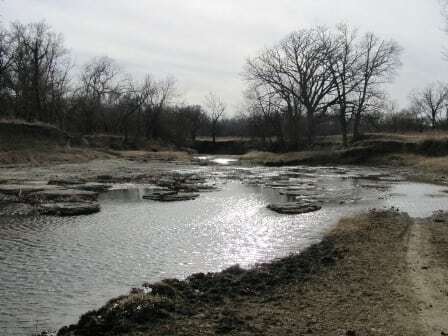 This area is known for the varied wildlife that enjoys the prairie and creek habitat with mosaic timber in the riparian areas. The many ponds and 38 acre lake provide bass, crappie and catfish for the fisherman and create an inviting area for the water fowl. The rolling hills with beautiful vistas from the high ridges of 850 feet or more look over the bottomland areas of approximately 720 feet. As mentioned, the location near a larger city such as Bartlesville provides medical, education, shopping opportunities and continues to offer the small town atmosphere enjoyed by many people. The property is bordered on two sides by larger ranch operations. 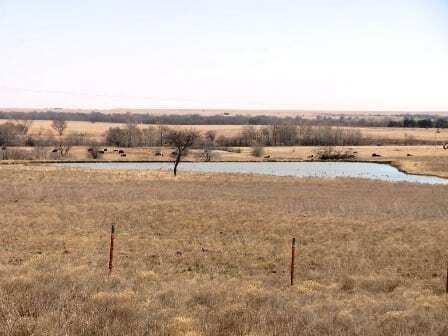 The ranch currently leases an additional 460 acres of neighboring property for grazing and hay production and may be a possibility for the new owner. The 90 acres that the owner is retaining contains their oilfield headquarters and is in a very unobtrusive location. The small area containing pipe yards and headquarters is fenced and the remaining land may be utilized by the new owner without any lease payment. The owner does not own the minerals but does have the mineral lease on the ranch. They have made extensive improvements since purchasing the ranch and are known for their regard for the land and environment. 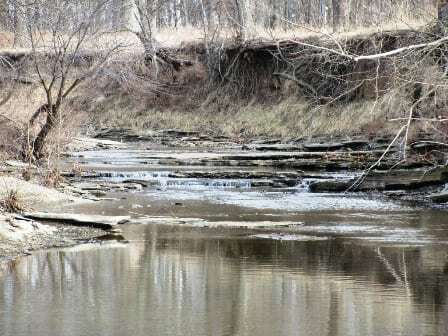 Additionally, the property has been approved for an OERB contract to clean up old production sites, abandoned wells, and any environmental concerns resulting from previous oil production. A 4-5 acre lake is planned to be constructed as part of the process. More information can be found at www.oerb.com . 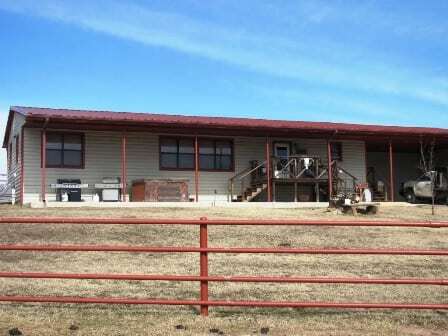 Oklahoma land taxes are relatively lower than several surrounding states and the taxes for the ranch including the homestead are approximately $9,000 per year. The Accelerated Federal Depreciation that has been available in Oklahoma since 1994 has been extended in the recent Congressional extension. The ranch is in an area that is believed to qualify for approximately a 40% shorter recovery period for most non-residential depreciable property.